Women Are Saving Money Thanks To Expanded Birth Control Coverage : Shots - Health News The average user of birth control pills saved $255 in the first year after an Affordable Care Act requirement that insurers cover contraceptives without copays went into effect, a study finds. Women are saving a lot of money as a result of a health law requirement that insurance cover most forms of prescription contraceptives with no additional out-of-pocket costs, a study finds. But the amount of those savings and the speed with which the savings accrued surprised researchers. 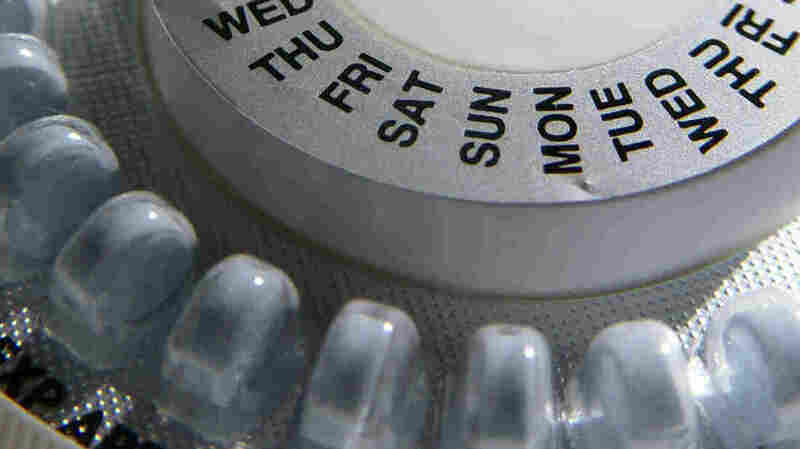 The average birth control pill user saved $255 in the first year after the requirement took affect, according to a study published Tuesday in the journal Health Affairs. The average user of an intrauterine device (IUD) saved $248. Those savings represented a significant percentage of average out-of-pocket costs. "These are healthy women and this on average is their No. 1 need from the health care system," said Nora Becker, an MD-PhD candidate at the University of Pennsylvania and lead author of the study. "On average, these women were spending about 30 to 44 percent of their total out-of-pocket [health] spending just on birth control." The study looked at out-of-pocket spending from nearly 800,000 women between the ages of 13 and 45 from January 2008 through June 2013. For most plans, the Affordable Care Act requirement began Aug. 1, 2012, or Jan. 1, 2013. So-called "grandfathered" health plans, those that have not substantially changed their benefits since the law was passed in 2010, are exempt from the mandate, as are a small subset of religious-based plans. While making birth control substantially cheaper may not increase the number of women who use it, Becker said that the new requirements could well shift the type of birth control they use to longer-acting, more effective methods like the IUD. "If prior to the ACA a woman was facing $10 to $30 a month for the pill but hundreds of dollars upfront for an IUD and now both are free, we might see a different choice," Becker said. The researchers also found that while out-of-pocket spending dropped dramatically for most types of prescription contraceptive methods, with the majority of women paying nothing by June 2013, spending barely budged for the vaginal ring or hormonal patch. That could be because at first many insurers declined to make the ring or patch free, since, like pills, they are essentially hormone delivery methods. Earlier this year, the Obama administration issued a clarification saying that while insurers do not have to offer every brand of every method, they do have to cover at least one product in each category, including rings and patches.